"Ulladulla" redirects here. For the former municipality, see Municipality of Ulladulla. Ulladulla is a coastal town in New South Wales, Australia in the City of Shoalhaven local government area. It is on the Princes Highway about 230 kilometres (140 mi) south of Sydney, half way between Batemans Bay to the south and Nowra to the north. Ulladulla has close links with the nearby historic settlement of Milton and many services are shared between these towns. The name Ulladulla is an Aboriginal word meaning "safe harbour", which was corrupted to "Holy Dollar" at one time. Alternative spellings as Woolladoorh or Ngulla-dulla have been recorded. The first white Settler was Rev Thomas Kendall in 1828 who started cedar cutting at Narrawallee Creek near Milton. The Ulladulla area is a seven-kilometre stretch of continuous urban residential development from the southern edge of Ulladulla, through the town of Mollymook, to Narrawallee in the north, terminating at the Narrawallee estuary. At the 2016 census, the population of the Ulladulla-Milton area, including some rural areas, was 15,278, having grown from 14,149 at the 2011 census, an increase of 8 percent over the preceding five years. At the 2016 census, the population of the Ulladulla-Milton built up area was 13,054 and the population of the suburb of Ulladulla was 6,615. Ulladulla is surrounded by the adjoining towns of Milton and Burrill Lake as well as Mollymook and Narrawallee. The extended area from Burrill Lake to Milton is referred to as the Milton–Ulladulla area. Close landmarks include Pigeon House Mountain and "The Castle", both named due to the unique shapes of the mountain. Pigeon House was sighted by Captain James Cook upon his journey along the eastern shores of Australia. Pigeon House has recently been renamed "Didhol" out of respect to the elders of the Yuin nation, the Aboriginal elders past and present who originated from the area Ulladulla was built upon. The traditional name of the peak, Didhol, means "woman's breast", from the mountain's clear resemblance to the shape of a woman's breast. Along with the rest of the NSW South Coast, Ulladulla has a mild oceanic climate (Cfb) and experiences warm summers and cool winters. The climate is influenced by the warm waters of the adjacent Tasman Sea and is characteristically mild without extreme high or low temperatures. Climatic data has been recorded at Ulladulla by the Bureau of Meteorology since 1989. Small pleasure boats moored in Ulladulla Harbour. Ulladulla Harbour is a minor port administered by Land and Property Management Authority. The first white Settler was Rev Thomas Kendall in 1828 who started cedar cutting at Narrawallee Creek near Milton. A wooden jetty was built in 1859 so as to retain the services of the Illawarra Steam Navigation Company; the company had informed the farmers that would not call again at Ulladulla unless better mooring facilities were provided. After seven years the jetty was replaced by a stone pier built by the government on the natural reef. The company built a store on the harbour foreshores for the receiving of produce for shipment to and from Sydney. There was a weekly cargo service to Ulladulla until the mid-1950s. In 1873, a lighthouse was constructed on the harbour breakwater, and it was known at the time as the Ulladulla Lighthouse. It was relocated in 1889 to Warden Head, south of the harbour, where it is still active. During the mid-1890s, a 4 ft (1220 mm) gauge tramway was laid out to the end of the main stone wharf. Manpower and horses were used to move the low wagons. During the period 1910-11, a double line of track was laid to the end of the pier. Public Works Department records disclose maintenance of track and repair of wagons at least to 1947-48. Almost all trace of the line had gone by 1991. The harbour is the home port of the largest commercial fishing fleet on the South Coast of New South Wales. The Blessing of the Fleet festival has been held regularly at Easter since 1956. This is a centuries-old tradition which originated in Sicily, Italy, and has been continued by the area's descendants of the original Italian immigrant fishing community. A significant element of the festival is the religious Blessing of the Fleet ceremony held at Ulladulla Harbour on Easter Sunday. The festivities conclude with fireworks display, over the harbour on Easter Sunday and the Harbour Markets on Easter Monday. Although the accompanying celebration was canceled due to a sharp rise in the public liability premium in 2004 and 2005, the ceremony returned in 2008. Premier Motor Service operate two daily service in each direction between Sydney and Eden as well as two services from Bomaderry railway station that connect with NSW TrainLink services. Corey Ulladulla Bus Lines provides local bus services on weekdays with a reduced service on Saturdays. Two routes operate from Ulladulla. Route 740 runs from Burrill Lake to Milton via Kings Point, Ulladulla, Mollymook and Narrawallee. Route 741 runs at a lesser frequency on weekdays only from Ulladulla to Kiola via Burrill Lake, Tabourie, Termeil and Bawley Point. Taxis and private hire cars are also available for transport throughout the district. Ulladulla Public School was established in August 1861. Ulladulla High School was established in January 1974. Winter Warden (1860 - 1936), a former member of the NSW Legislative Council, was born in Ulladulla. A.B. Shand KC (1865 – 1949), barrister and King's Counsel and Royal Commissioner was born in Ulladulla. ^ a b Australian Bureau of Statistics (27 June 2017). "Ulladulla (SA2)". 2016 Census QuickStats. Retrieved 10 July 2017. ^ a b "Ulladulla". Geographical Names Register (GNR) of NSW. Geographical Names Board of New South Wales. Retrieved 1 February 2018. ^ "Ulladulla". OpenStreetMap. Retrieved 1 February 2018. ^ Australian Bureau of Statistics (31 October 2012). "Ulladulla (SA2)". 2011 Census QuickStats. Retrieved 10 July 2017. ^ Australian Bureau of Statistics (27 June 2017). "Ulladulla (UCL)". 2016 Census QuickStats. Retrieved 2 February 2018. ^ Australian Bureau of Statistics (27 June 2017). "Ulladulla (state suburb)". 2016 Census QuickStats. Retrieved 2 February 2018. ^ "Australian Climatic Zones (Map)". BOM website. BOM. Archived from the original on 19 February 2011. Retrieved 7 May 2010. 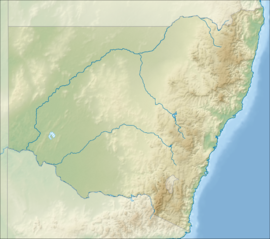 ^ "Climate of NSW". BOM website. BOM. Archived from the original on 17 March 2009. Retrieved 7 May 2010. ^ a b "Monthly Climate Statistics for Australian Locations - Ulladulla AWS". BOM website. BOM. Retrieved 7 May 2010. ^ "Minor Ports Program". Land management. New South Wales Department of Lands. 2006. Archived from the original on 3 October 2006. Retrieved 2006-12-14. ^ Dunn, Cathy (1999). "Ulladulla Harbour". Local History of Milton Ulladulla. www.ulladulla.info. Retrieved 10 April 2006. ^ "Warden Head Lighthouse (listing RNE19898)". Australia Heritage Places Inventory. Department of Sustainability, Environment, Water, Population and Communities. ^ "South Coast of New South Wales". www.galleryaustralis.com. ^ "Timetables". Ulladulla Bus Lines. Retrieved 6 April 2013. ^ "Ulladulla Public School in the School history database search". New South Wales Department of Education. Retrieved 1 February 2018. ^ "Ulladulla High School in the School history database search". New South Wales Department of Education. Retrieved 1 February 2018. ^ "Mr Winter David WARDEN (1860 - 1936)". Parliament of NSW. Retrieved 22 January 2013. ^ "Mr. A. B. Shand, K.C., Dead". The Sydney Morning Herald (34, 878). New South Wales, Australia. 4 October 1949. p. 4. Retrieved 11 April 2016 – via National Library of Australia. ^ "MILK ACT PROBE". Singleton Argus. New South Wales, Australia. 15 February 1933. p. 3. Retrieved 11 April 2016 – via National Library of Australia. Wikimedia Commons has media related to Ulladulla, New South Wales. This page was last edited on 23 November 2018, at 02:10 (UTC).